In 1994, at the height of the country’s attention toward O.J. Simpson’s trial for the murder of his ex-wife Nicole Brown Simpson and her friend Ronald Goldman, Jeffrey Toobin forever became linked to the former athlete. He broke the story, in The New Yorker, that Simpson’s legal team planned to accuse detective Mark Fuhrman of planting evidence. Twenty-one years after the trial of the century, the cast of characters in the case has come back in the news thanks to the popularity of the FX series “The People v. O.J. Simpson” (based on Toobin’s book “The Run of His Life: The People v. O.J. Simpson”). 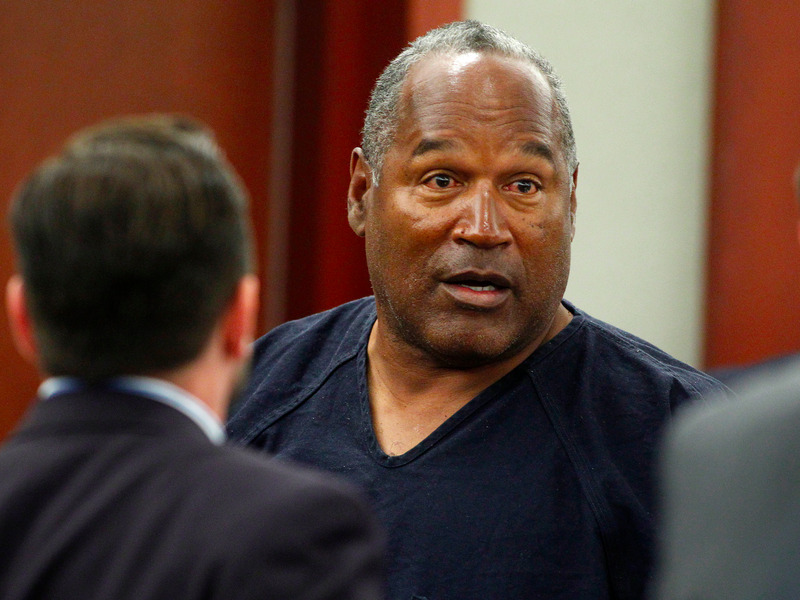 Now ESPN is premiering its critically acclaimed five-part documentary “O.J. : Made in America,” which will kick off on Saturday night on ABC, before making it to ESPN. Toobin, now a legal analyst for CNN, is also in the documentary, recounting what he observed while covering the Simpson trial. But while talking to Business Insider on Friday, he couldn’t help but bring up the ironic situation Simpson is currently in — incarcerated in a Nevada prison serving a 33-year sentence after being convicted of armed robbery and kidnapping related to an incident in Las Vegas, in which Simpson tried to reclaim what he thought was stolen memorabilia of his in September 2007. GettyO.J. Simpson while on trial for armed robbery and kidnapping. Toobin isn’t the only person who believes Simpson was unfairly treated in the Nevada case. In “Made in America,” attorney Carl Douglas, who was on Simpson’s “Dream Team” of attorneys, said that Simpson’s charges in the Nevada case 13 years to the day after being found not guilty in his murder trial, and the 33-year sentence (Simpson was ordered to pay $33.5 million in the wrongful death civil case filed by the Goldman family) were no coincidence. He thinks there’s significance to the 33 figure and believes the outcome was “payback” for the murder trial. Toobin says he doesn’t necessarily agree with Douglas on the years of the sentence being connected to the figure from the civil case, but he does think the verdict was a result of the previous innocent verdict. “I do believe that this entire fiasco in Nevada would never have been the subject of a criminal case, much less one that generated a 33-year term, if most people in the world did not believe that O.J. Simpson got away with murder,” Toobin said. But Toobin admits he doesn’t “stay up at night” thinking it’s an injustice. He believes Simpson is guilty of the murders of Brown and Goldman. And when Simpson, 68, gets out of prison, it’s a story he is not interested in following anymore. “I think the story of O.J. once he gets out is seedy and just an example of someone whose true character is coming to the surface and it’s not a pretty picture,” Toobin said.